Stayed in the Cloister for 2 nights. It was wonderful. Julie kindly helped us to upgrade and we had the most amazing stay. We were treated as family, loved the atmosphere and the true southern hospitality. Our room was so comfortable and spacious. The food in Tavola was just delicious and many thanks to Ben for being a real joy. Inn at Sea Island is a nice boutique hotel with courtyard and pool. Staff was friendly and helpful. Room was ample and clean. There is a shuttle service to other Sea Island places for which guests have access, such as golf, beach and other hotels, such as the Lodge and Cloister. We are now (unfortunately) back from our time in the USA. I would just like to say a huge thank you to Kevin and your team for all of your help and patience. We had a wonderful time on St Simon's/ Sea Island. The hotel was superb, the meal at the Cloister was awesome and the golf, despite inclement weather, was very much enjoyed. We cannot praise the staff at the golf club enough, in particular Rob, who went out of their way to make my husband's 60th birthday a day to remember. We are so grateful for everything you did for us. I enjoyed my accommodations very much and the access provided to the other Sea Island properties was very nice. I played all three Sea Island courses and enjoyed all three very much. If you have stayed at Sea Island Resort - Inn at Sea Island, we would like to hear from you. The Inn at Sea Island is a select service 85-room hotel located just minutes from Sea Island Golf Club, St. Simons' historic sites, beaches and shopping. 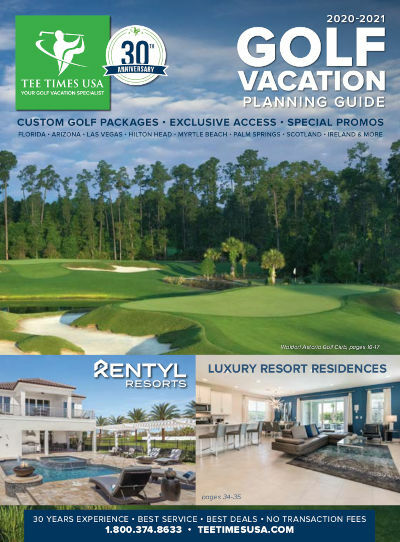 Tee Times USA golfers will enjoy comfortable, casual rooms averaging 400 square-feet,and free Wi-Fi service. Play all three resort courses or sharpen your game at the Golf Learning Center. Relax by the outdoor pool, unwind in the fitness center and end your day at one of the on-site resort restaurants and lounges. Rated #4 out of the 75 Best Golf Resorts in the U.S.